It is the word that isn’t mentioned too often in most parts of Japan, but it’s very commonly used in Kyoto. Obanzai is a side dish of Kyoto. Using seasonal foods and imminent ingredients, it is a menu to easily make. I use up ingredients carefully. The cooking that the storable duration does not make makes moderate quantity. I cover the thing that I run out of with cook-ahead reserve greens. The labor takes neither the useless money nor the time either. 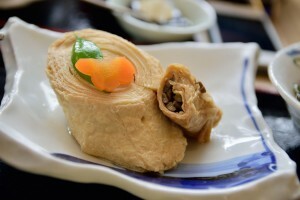 It is the dish culture that is very rational, and is ecological. It was a natural recipe in the times when refrigerators did not spread. Among tourist coming to Kyoto to play, there are many people after the Obanzai, too. Everybody pays money and thinks, “I want to eat delicious Obanzai”. When I take it toward Kyoto, Obanzai is an everyday side dish. I buy it in a supermarket and food stores in the department store basement if small amount. As for the side dish sold in a supermarket of Kyoto, all shops are good. Basic all quality is high in the dish of Kyoto. Even if it is taste and the cheap restaurant of general public, it is delicious. The seasoning has how to use seasoning peculiar to a district and how to handle soup stock. It is very more different than Kanto. And the Obanzai of Kyoto is beautiful visually. It is delicate and is healthy in light seasoning. Even a Japanese feels it for the tourist who came from other areas in particular. It will become the good memory to make a tour of the Obanzai in Kyoto. You will look in the town of Kyoto, too! An Obanzai set meal is recommended. 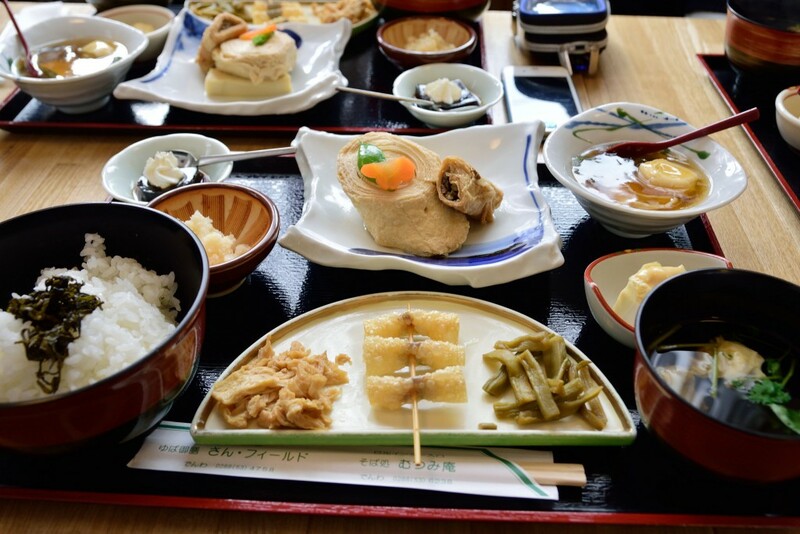 An Obanzai assorted three kinds set meal (980 yen) is recommended.